After a life where he has been a student, a soldier, a psychologist, a detective and a convict, Turner has moved to a small town just outside Memphis. His plan, to live his life in peace and quiet and maybe take a little of that peace into himself. All seems to be going well until the Sheriff turns up with a bottle of whisky and a murder. The murder is ritualistic. A drifter has been found bound and staked by some local kids. The police don’t know who he is, why he was in town, or who might want him dead. Turner’s reputation as a good cop, it seems, isn’t something that he could hide from and the Sheriff asks for his help. Reluctantly, though not too much so, Turner steps in. 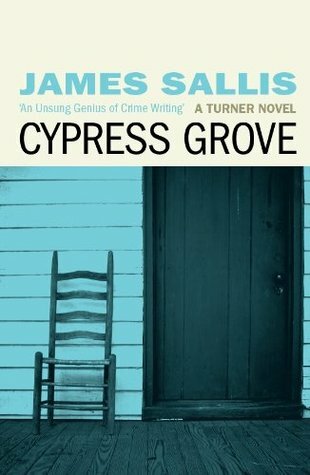 As with all James Sallis novels that I have read the crime and the solving are almost second place to the characters. Turner is a complex person with a lot of layers and in flashbacks his past is revealed one key event at a time. Nothing has been clear cut in his life and he is not a clear and easy character to read. At the heart of it though, he is a decent person and one I really warmed to. The Sheriff, his deputy, and Turner’s potential girlfriend were on the periphery, their stories being told more to share how Turner responded I felt, to show what type of person he is. This is the first of a series though so I hope they are built on in future books as they were all interesting – or at least had the potential to be so. The writing is very much what I had come to expect with James Sallis novels; clean, minimalistic. I love how he conveys so much, about a place and people, with so few words, not one of which is wasted. He has a great ability to paint a scene and make you feel you are there. Overall, then, I really liked this book – I had expected to in all honesty – I didn’t love it though, not compared to others I have read. There was just a little something that didn’t hit me as powerfully as the others (or maybe I’m just getting used to the style); this is why I’ve given it 4 not 5 out of 5. However, it is a great book and one I think people would really enjoy.